Boring Contractors Media - Directional Boring, Inc.
January 1, 2014 - Directional Boring Inc. has expanded its horizontal directional drilling service area and now provides experienced directional drilling crews for commercial, residential and municipal underground utility pipe installation projects throughout the continental United States. Horizontal Directional Drilling (HDD) is a steerable trenchless method of installing underground utility pipe, conduit, or cables in a shallow arc along a prescribed path by using a surface-launched directional drilling rig, with minimal impact to the surrounding surface area. This form of trenchless pipe drilling and installation is often better for the environment and can save property owners time and money by reducing the disruption costs often associated with open cut landscape, concrete and asphalt trenching. Given the choice, commercial and residential property owners alike prefer directionally drilled installation of underground utilities over the traditional low tech alternatives. 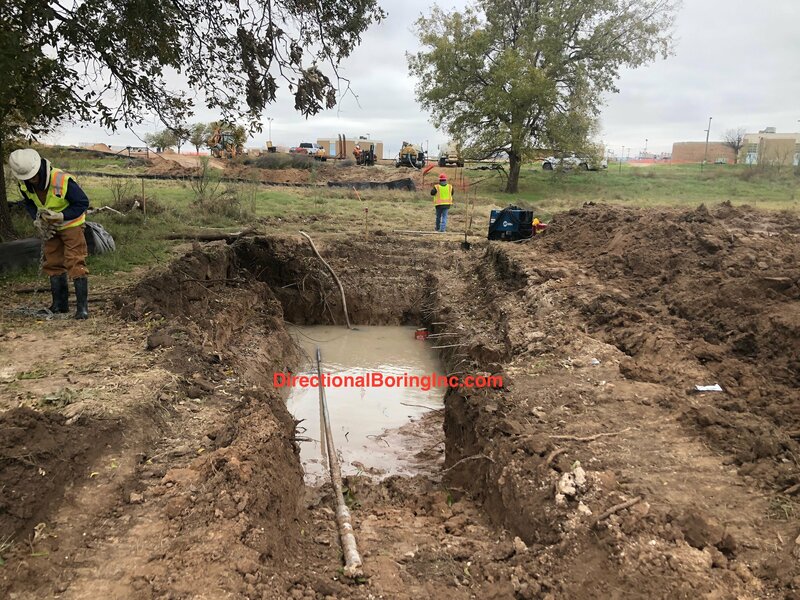 ABOUT Directional Boring Inc.: DirectionalBoringInc.com is a trenchless underground utility horizontal directional drilling (HDD) company that provides horizontal directional drilling services across the continental United States. March 15, 2015 - Directional Boring Inc. has added a new horizontal auger boring division to service increasing local municipal and state government infrastructure needs. Horizontal auger boring is the method preferred most by municipalities and state governments for on grade road crossings that utilize steel casing where ground settlement of any kind is not permitted. By continuously supporting the excavated ground with steel casing pipe, the possibility of lost ground and settlement is diminished whether under local roads or highways. Boring and pipe placement in hard rock like limestone and granite can also be accomplished with the horizontal auger boring method. Federal, state and municipal street, traffic and drainage as well as interstate, highway and railroad projects often require utility crossings be dry bored via auger bore (jack and bore) over wet boring (directional boring) methods. ABOUT Directional Boring Inc.: DirectionalBoringInc.com is an underground horizontal auger boring company that provides horizontal auger boring services across the continental United States. May 3, 2016 - Directional Boring Inc. has launched a new utility tunneling contracting service. Utility tunneling is a two stage process in which a temporary ground support system is constructed to permit the installation of product pipe. A temporary tunnel liner is installed as the tunnel is being constructed. The temporary ground support system (liner) can be made of steel or concrete tunnel liner plates, steel ribs with wood lagging, or an all wood box culvert. 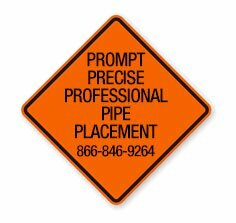 Personnel are required to go inside the tunnel to perform the excavation and or remove spoil. Tunneling excavation can be accomplished either manually (hand mining) or mechanically (conventional tunneling). The tunneling process doesn't require a surface entry or exit point, therefore the overall crossing length can be reduced dramatically and thus there are very few limitations to the diameter of tunnel. Tunneling is best used when the distance to cross is short, the diameter of the pipe is large and the site footprint does not allow for an drilling entry and exit angle. ABOUT Directional Boring Inc.: DirectionalBoringInc.com is a underground utility construction company that provides conventional and hand mine tunneling contracting services across the US.